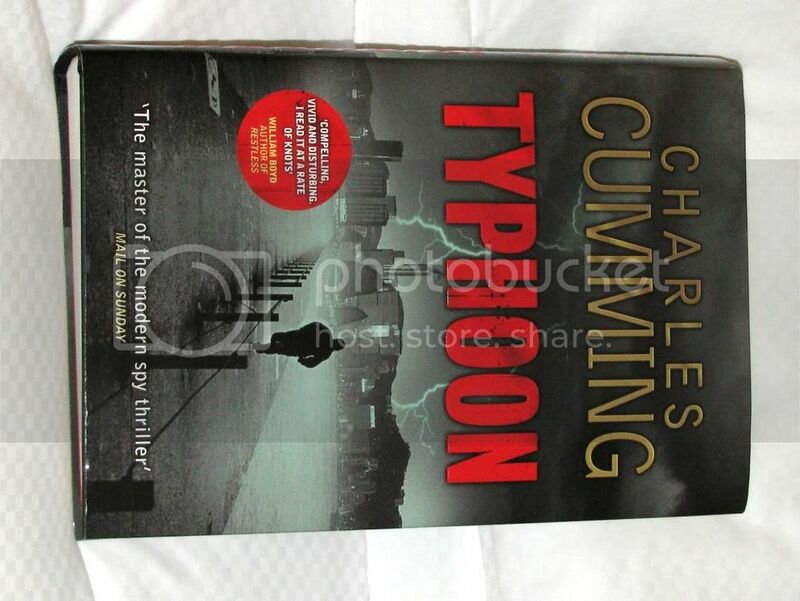 The thriller novel Typhoon, which I tried in vain to track down while I was in China (the tale of this quixotic search, thrilling enough in itself, is laid out here , here, and here), is now on hand, shipped by Amazon Canada to Washington DC. It is shown below, in pillowed presentation mode appropriate to the difficulty of finding it. That leaves two associated mysteries to figure out. One: since the word "China" does not appear on the front or back cover of the book, and since the cover illustration of Hong Kong might at worst seem to suggest a natural-disaster weather story, how could the Chinese customs officials have figured out that this was a "sensitive" book that they had to intercept -- if that is indeed what happened to it? The other mystery, of course: is it any good? Stay tuned.